This policy will guide the content and usage of MCRRC-sponsored social media channels including but not limited to Yahoo! Groups, Facebook, LinkedIn, YouTube, Instagram and Twitter (herein referred to collectively as social media). The purpose of MCRRC’s participation on such social media is to provide both club and non-club members with additional means by which to receive news and alerts in addition to the information available on the official club website. Each social media channel will have at least two Managers at all times- the Director of Operations and a member of the Communications Committee. The Management of the social media channel will be reviewed annually at the start of the new Board term. Interim changes will be recommended by the discretion of the Director of Operations, Communications Committee and approved by the Board. The Managers will maintain a list of all official accounts and passwords, as required to administer the social sites. These accounts and passwords will not be shared without the express permission of the Board. The Managers will review social media on a regular basis to update announcements, remove inappropriate posts, approve new members and perform administrative duties where necessary. During the term of Manager, Managers will keep well maintained written records of accounts and passwords as deemed appropriate in Item #3 above as well as logs of administrative changes that have taken place on the social sites and any other information necessary to ensure a smooth transition to future Managers. This also includes the backup of any and all membership lists and information as appropriate. Should Race Directors, Program Directors or other members wish to use the social sites to convey specific information about club races, programs, or other club activities they should send this information to the Director of Operations at office@mcrrc.org. 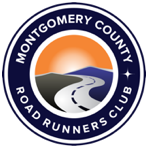 Membership to some MCRRC social media channels and groups are not limited to club members; however, these platforms may not be used to publicize non-MCRRC events by any user. The Managers reserve the right to deny or terminate membership of any user for such misuse. The Managers reserve the right to remove inappropriate posts or posts containing non-MCRRC related content without notice of its intent to do so. MCRRC will not sell, use or otherwise retransmit personal information collected on users its social sites. However, MCRRC will not be responsible for misuse of personal information by the social sites themselves or information gathered by other users of the social sites. All users must agree to and abide by the terms and conditions put forth by the individual social sites and agree to not hold MCRRC responsible for any misuse of information. Information contained on MCRRC social sites is the property of MCRRC and may not be used without permission.